A timeless classic and a must have for fantasy fans. ...Dungeons & Dragons: The anime. This 13 episode OAV was one of my first experiences with anime, and despite it's low production values, lousy ending, and shamelessly excessive use of recycled battle footage, it still remains one of my all time favorites. To this day I have yet to find a better fantasy anime except for it's own 27 episode sequel, "Chronicles of the Heroic Knight". 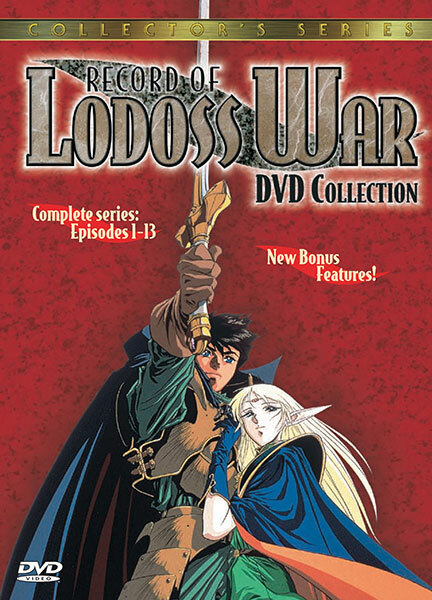 Record of Lodoss War has everything a medieval fantasy fan could hope for: An epic adventure story, fascinating though somewhat unoriginal characters and an awesome assortment of environments, spells, weapons, monsters, dragons, battles and duels. That being said, RLW is a very genre specific anime, using themes from classic fantasy stories like the "Lord of the Rings" trilogy as well as the standard RPG class system with the good guys assembled into a standard fantasy adventure party. Every time a new character was introduced in the series, I could picture their traits on the status screen of a video game. But while these aspect of RLW were undoubtedly unoriginal, I don't think they hurt the series. One reason is that as a fantasy fan myself, I felt right at home among these familiar themes. But more importantly, they were so effectively used and well incorporated into the story that after the first few episodes I stopped caring wether they were original or not. The bottom line is that if you are not a fan of medieval fantasy stories, RLW might not have much appeal, and I doubt it will turn you around. But if you are, RLW should be right up your ally. The characters are one of RLW's best qualities. While they were a fairly typical fantasy cast and generally acted exactly the way you would expect them too, they still had a good amount of depth to them and all of their various strengths, weaknesses, motives, quests, backstories, skills and other traits received sufficient focus and development. Also their roles in the story are not immediately established as soon as they are introduced. The result of this is that it was difficult to predict who was going to survive or get killed and a lot of the characters who looked as though they would be regulated to minor support roles ended up having a major impact on the series. The main character, Parn, was fairly interesting, although he could be rather annoying at times. If you prefer lead characters who are virtually unbeatable from beginning to end like in "Berserk" and "Rurounin Kenshin: The Remembrance" you will probably hate him because he starts out with rather low combat skills. And throughout the the series he displays two rather negative tendencies: Completely ignoring the advances of his attractive elf companion, Deedlit, no matter how hard she throws herself at him, and recklessly charging into every dangerous situation far too impetuously and often receiving a brutal pummeling as a result of it. But even so, he was a solid lead character with a lot of development and I enjoyed watching him evolve from a lowly village peasant into a powerful knight. Also Parn does not hog the spotlight in RLW, nor does anyone else. All of his companions have big roles in the story and even some comrades he does not meet until the late in the series make a significant contribution to the rest of the story. RLW also has some excellent villains. The best of the lot is Ashram, the dark knight. Ashram starts out with a solid but humble introduction to the story as 2nd in command of the Marmo forces, but soon we see his brilliant combat skills, superb leadership, devoted loyalty to his nation and cause combined and his surprisingly likable personality for a bad guy. By the time the series ends, he leaves his mark as one of the most popular anime characters in RLW as well one of the most popular anime villains. Another villain who makes a huge contribution is Carla, the wandering soul who severs as the force of chaos in Lodoss. Carla does not support any group or nation, but instead shows up at major battles and events in Lodoss, supporting whatever side or action she believes will cause the most disarray, thus preventing any one nation from becoming too powerful. This creates some very surprising and interesting situations that keep the characters in the story and you constantly wondering wondering if she will show up at the next major event in Lodoss and how she will make an impact. The plot also stands out as being exceptionally good, mainly because it keeps us guessing and has plenty of twists, turns and surprises while maintaining an "epic saga" quality and feel the whole way through. There are a few gripes I have with it though. One is with the first episode. The first episode is one of my favorites, featuring our heroes in a romp through some ancient ruins and an exciting fight with a dragon. But it actually takes place in the middle of the series. This means that the first episode basically throws into the middle of the story without any idea of who the characters are and why they are in the ruins. Then the beginning of the series starts in the next episode, leaving us to wonder when the events in the first episode will actually take place. Also I found the ending to be somewhat disappointing. It was not bad enough to ruin the whole series, but it was a rather unworthy ending to an otherwise excellent story. Also the ending is different then the original story that RLW is based off of. 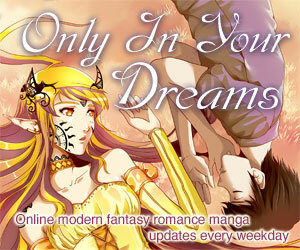 This is taken up RWL's sequel which starts out by retelling some of the second half of the series. The decision to retell rather then just go along with the ending as it was in the OAV was a terrible idea, as it leaves all us fans of the OAV asking questions at the beginning of the TV series like "Why don't these people remember meeting each other? ", "Why are the same events in the OAV series happening again? ", and "What the hell is going on?" But thankfully the OAV and TV series are so good that this decision did not devastate either of them. The soundtrack in RLW can be described as satisfactory. There were not any songs in it that stood out as being exceptional other then the ending theme, but in general the music was fairly good, well used, and fit the setting and atmosphere fine. The voice acting was a lot better then one would expect from a low budget fantasy OAV. The voice actors sound excellent and fit their characters perfectly, with a noticeable (and thankful) lack of high pitched ear piercing voices for the females. The high quality of the dubbing and dialogue was also a pleasant surprise. Then animation in RLW has taken a lot of fire from fans and detractors alike. But while RLW does have a low budget, I found most of these criticisms to be unfounded. Low budget animation does not always mean bad animation. On the contrary, I was rather impressed with what the animators were able to come up with despite budget constraints. The characters and weapons were very nicely done, and while a lot of the monsters were rather generic, there were plenty of well drawn distinctive ones as well. The background animation was fairly well detailed, though the coloring was a bit shoddy at times. RLW also has a vast assortment of environments: caves, castles, war camps, battlegrounds, ruins and such, all of which were well animated and greatly contributed to the fantasy atmosphere of the series. In some ways, the low budget animation actually helped the atmosphere by giving it a classic feel. There was one aspect of RLW's animation that stands out as beyond excellent: Dragons. RLW has some of the best looking dragons I've ever seen in a fantasy movie or TV series, and that includes non animated ones. On the other hand there was one aspect of RWL that hindered the series. It's heavy use of recycled battle footage and still shots. It can be rather hard to enjoy a major battle when you keep seeing the same footage again and again. But fortunately the amount of stock footage is reduced as the series progresses, and it's mainly used for large scale army battles not smaller group fights and one on one duels, which make up the majority of combat in the series. RLW's heavy reliance on still shots can be annoying as well, but fortunately the stills look fairly good. One thing to keep in mind when judging the quality of the animation in RLW is that the series is well over ten years old. And while I've seen some older anime that looks better, if you can appreciate classic animation you should have no problem with the artwork in RLW. The low budget also does not prevent most combat scenes in RLW from being very impressive. RLW has a wide variety of fights involving a vast array of combat techniques, weapons, and spells. The spells, ranging from the healing magic of a priest to the offensive magic and a wizard and the spirit summoning magic of a shamanist are some of the best aspects of the fight scenes, being both well animated and creative. I especially enjoyed watching the main characters work as a team to defeat an exceptionally powerful opponent (like a dragon or enemy wizard) which was enhanced by RLW's RPG class system (or detracted by it, depending on what your tastes are). And that's really what it all boils down too: Personal tastes. RLW is a story made specifically for medieval fantasy fans. Taken for what it is, RLW is an outstanding fantasy saga that overcomes it's unoriginal themes and budget deficiencies to become a timeless classic. If you like medieval fantasy stories and don't mind dated animation, you should definitely check it out. If not, then I don't how much appeal it will have. But the whole series is so good that I would still recommend it as a rental. 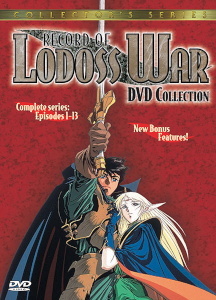 Record of Lodoss War is Copyright © 1990-1991 Group SNE / Kadokawa Shoten Publishing Co, Ltd / Barubeni Corporation / Tokyo Broadcasting System, Inc. English Version 1994-1996 Central Park Media Corporation. Any images are the property of their respective rightsholders, and included for review purposes only under the fair-use clause of US copyright law.